​Join the party at Australia's huge family friendly international cake, cookie and sweet show being held at Brisbane Showgrounds, Exhibition Building from 17-19th May 2019. There's never been a better learning experience! It's where thousands of cake, cookie, foodie and sweet lovers join together to celebrate, learn and taste all things sweet and decadent! 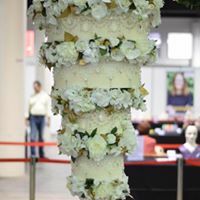 Watch the exciting two-day international cake-off challenge and sculpture shows on main stage, where you'll see the world's best cake artists create magic. Visit the cookie "create, make and take zone", where you can get your hands dirty. There are even kids mini classes! The experts will share their skills and show you how to make your own mind blowing cookies. The haute-couture wedding zone is exquisite, don't forget to visit! 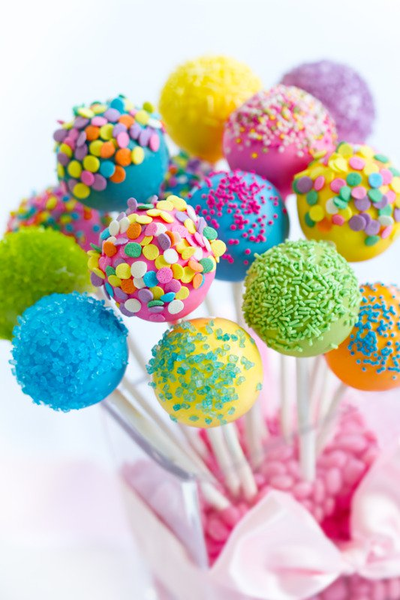 If you want to tempt your taste buds, the sweet zone is the place for you. 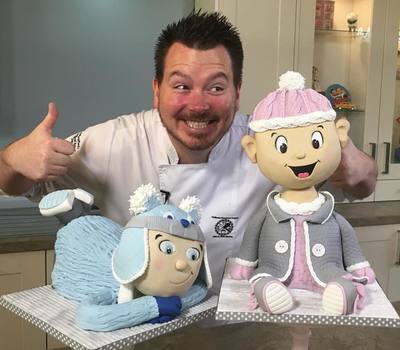 Kids will be captivated by the huge story book feature made entirely from cake and sugar. They can even sit and become part of the scene! 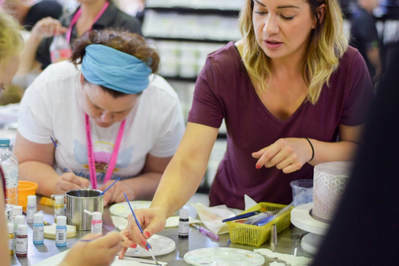 Relax and learn at the three live, laugh and learn demonstrations stages, where local and international celebrity chefs, chocolatiers and cake artists will hold hourly demonstrations on the hour, every hour. There are 54 FREE DEMONSTRATIONS across the three days the show is open. 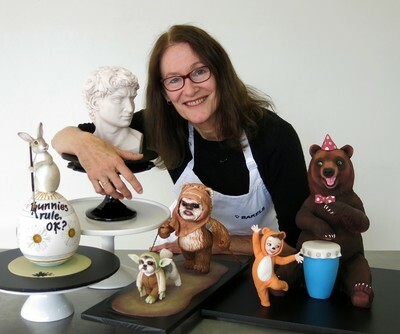 Visit the ultimate Australian cake decorating competition, but don't expect to see a traditional birthday cake! This is the area where all boundaries are stretched and cake and cookies are transformed into a magical edible art form. Expect mind blowing competition entries and huge statement cakes. ​Entry is open to everyone! Why not stretch your boundaries and compete. Don't be frightened, there is even a beginners category! 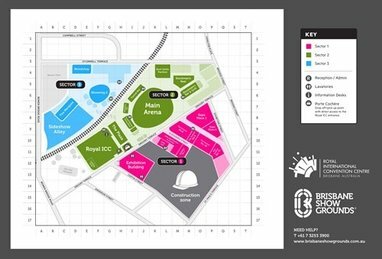 If you are entering the competition, the good news is you will receive a FREE three day pass to the show when you drop off your entry. Roam the multitude of pop up shops each holding their own demonstrations and hosting celebrity chefs and cake artists. Pick up a great special, learn about new tools, trends and gadgets. Once you purchase your show ticket, everything except the hands on workshops and master classes are FREE! ​"It's Every Sweet Tooth's Dream"
Ticket prices include show entry and access to the many free events once inside the show. Please note all events are free except the ticketed hands-on workshops and the offsite Cake Artists Party, which is an on-line ticketed event. Your ticket price includes access to the live cake off challenge, life sculpture show, 4 separate Live, Laugh & Learn Skill Stages, where demonstrations will be held every hour on the hour.Your ticket also includes access to the exhibitors’ area where you will be able to shop till you drop and access to Australia's largest cake competition display! a show entry ticket. Competition entry is open to the general public. 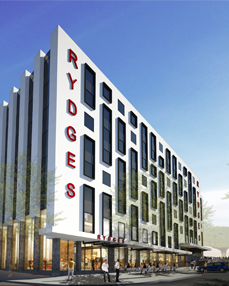 ​using Discount Promo Code "Cake Show"
​The Rydges Hotel Fortitude Valley is ideally located right next door to International Cake Show Australia. It offers 208 rooms, a great bar and the Six Acres Restaurant along with a gym and swimming pool. No transport is necessary it’s less than a minute's walk to the ICSA entrance.